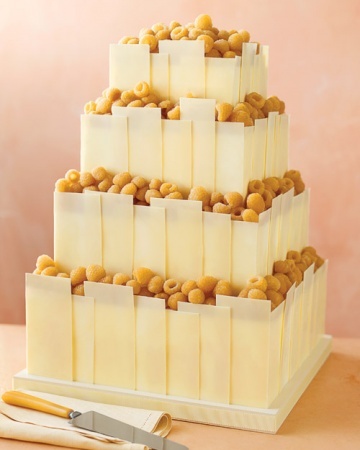 This cake is an amazing architectural masterpiece – four tiers of cake surrounded by white chocolate panels and topped with golden raspberries. 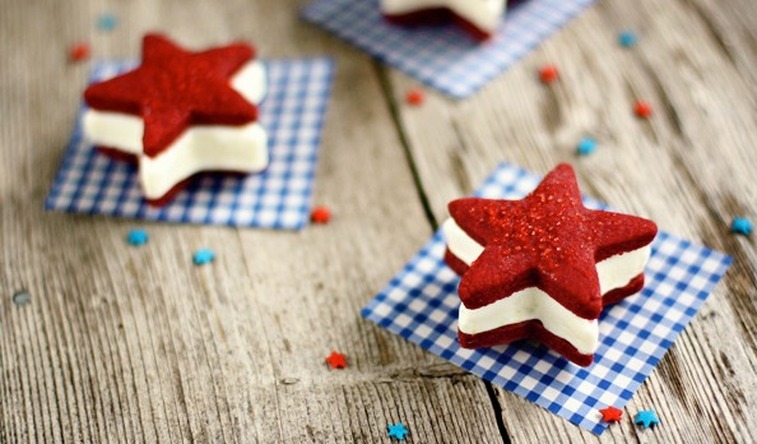 And the biggest surprise is that this cake can be a DIY project! 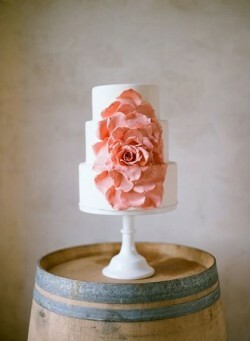 How absolutely gorgeous is this cake? I want to be a guest at that wedding, if only to get a taste of this summertime stunner. The cake is a three-tiered vanilla cake, which sounds delicious enough. But wait, there's more! The cake layers are soaked in St. Germain elderflower liqueur, which is apparently all the rage these days. 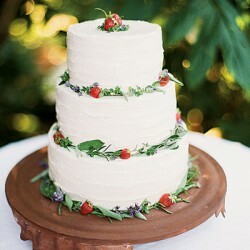 And then, the cake is filled with strawberries and lemon. There's a new trend right now with wedding cake design – super flowers. No, these flowers can't leap over buildings in a single bound, they are just really big flowers on your wedding cake. It's certainly an eye-catcher, don't you think? Raspberry and blue – it's one of those happy color combinations. 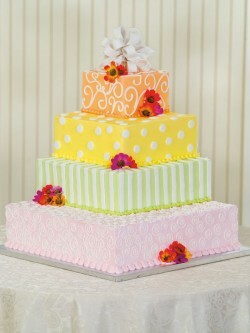 It's bright and springy and this cake showcases the perfection of these two colors. Everyone loves candy, right? My sweet tooth always wins in a battle of willpower. 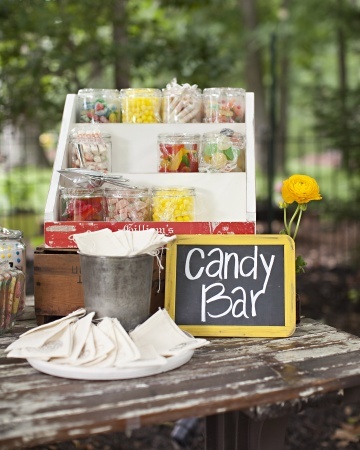 Which is why I absolutely LOVE the idea of a candy bar for wedding guests. No. Not just one single candy bar. I'm talking about a bar full of candy. There is an easy beauty to this cake – it makes me think of an outdoor late spring or early summer wedding, maybe at a botanical garden, surrounded by bright colorful flowers. This cake would look amazing in a setting like that. 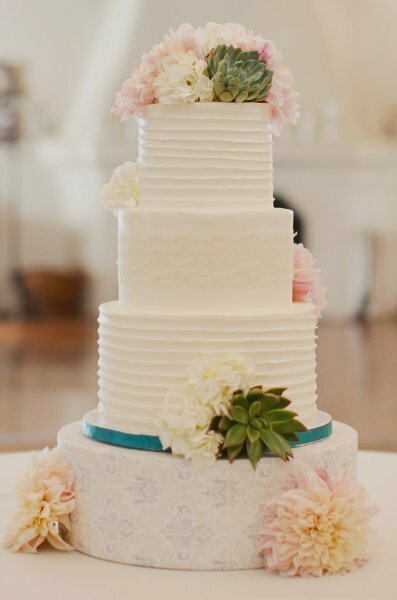 Since it seems like Mother Nature finally has her act together and has allowed spring to stay for a while, what better way to celebrate a wedding than this stunner of a cake? I feel all springy just looking at it. This could possibly be the most hilarious (and fun) wedding cake topper. Not only will it look adorable on top of the cake – and give guests a great laugh – but as an added bonus, you and the groom-t0-be get to put it together. All 24 pieces of it. And, just in case you aren't a brunette, the Lego bride also comes with blonde and black hair. 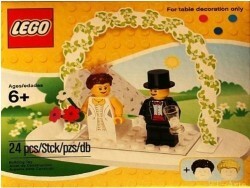 The bride also comes with a veil and a Lego flower bouquet. Personally, I love that the little Lego groom is holding what appears to be a glass of champagne! So what do you think? Would you put a Lego cake topper on top of your cake?